Click the button below to add the Mondraker Crafty R + 2017 Mountain Bike to your wish list. 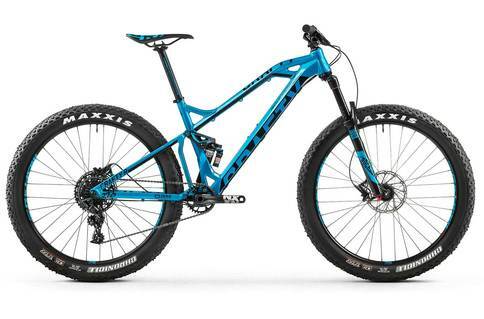 Mondraker's Crafty range encompasses 27.5+ exclusively for 2016. Accepting upto a 3" width tyres with plenty of mud-clearance thanks to huge Boost+ 157mm dropout spacing. The plus size system allows for an exceptional compromise between the fat bike and real-world trail-bike. If you're sitting on the fence over the fat phenomenon or simply want the added benefit of extra traction, the 27.5"+ system is for you.